It’s only been two months since the end of Outlander season 4. However, when we last saw Claire, Jamie, and co. there was no sign of filming, or any preparation, for season 5. And with more than 16 months having passed since season 4 filming started, fans were justifiably getting a wee bit impatient. Now, with talk of season 5 filming about to start, the wait could be over. Filming of Outlander season 5 has started, or will do any day now. Reports vary. Some would have us believe that filming started in Glasgow earlier this month. Meanwhile, others are telling us that studio filming has just begun, while other talk of pre-production. Either way, the general opinion is that the Outlander team are currently back at work on the next chapter of our favourite story. Outlander star, Caitriona Balfe was first to raise fans’ attention about season 5. On Februaury 12, at the TCAs in California, she announced that “We start shooting season 5 next week in Glasgow”. There hasn’t been any sightings, so our suspicion is that they are doing studio filming, or are in pre-production. Considering the storms blowing over the UK over the last few weeks, that would have been a wise choice. #TCA19 @Starz @CaitrionaBalfe #Outlander Q&A after panel… We start shooting season 5 next week in Glasgow. S5 will deal w/ family loyalties and politics. I am learning a lot about American history. Also Claire (now 54) exploring life as an older woman and being a grandmother. 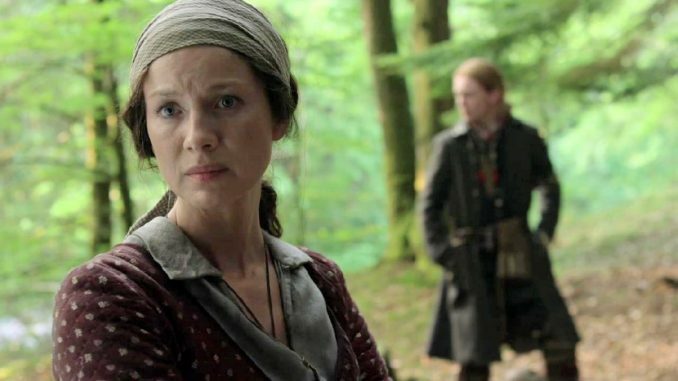 More recently, the Outlander star released a video of her return to the studio in Cumbernauld. Also featuring set designer John Gary Steele, this has inspired conversation about when location filming will begin. To date, reliable opinion (including the tweet below) is that we should expect to see Caitriona, Sam and friends very soon. Predictions and chatter point to filming being lined up to take place in early April, at Cumberland and Callander.